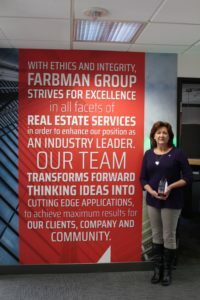 It is Farbman Group’s pleasure to announce that our company has been selected as a winner for the 2018 Best of MichBusiness Award in the Succession Success Category. This category honors family-owned and operated businesses that have successfully transitioned leadership and ownership from one generation to the next. Thank you Maureen for your work in procuring such an honor and in accepting this award on our behalf.